Shore diving along the north San Diego County can be really productive and fun this time of year. Spots like Cardiff Reef, Seaside, and Swami’s are all beautiful nearshore spots offering beautiful kelp canopies teeming with life. Coupled with the fact they are relatively easy access as well, there is no reason not to enjoy them. 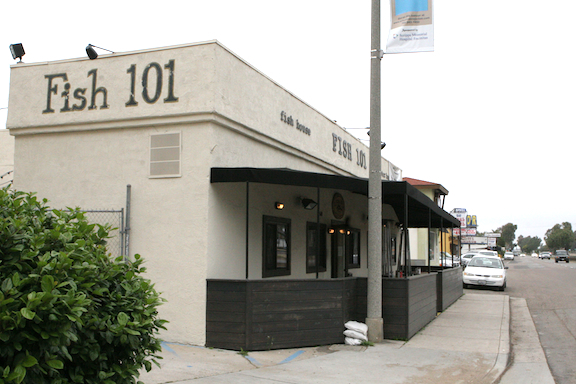 And now, as if the dives themselves weren’t enough, there’s a great new restaurant in Leucadia to finish up your diving day – Fish 101.
equivalent of a tech diver fyi) but it’s more than that. It’s also quite possibly one of the best fish houses you’ll ever try. It’s not just the fresh, locally sourced fish nor is it the reverence that the chef treats it with. It’s more than that in a subdued way. There is no overreach here. Just really well made food, prepared quickly. 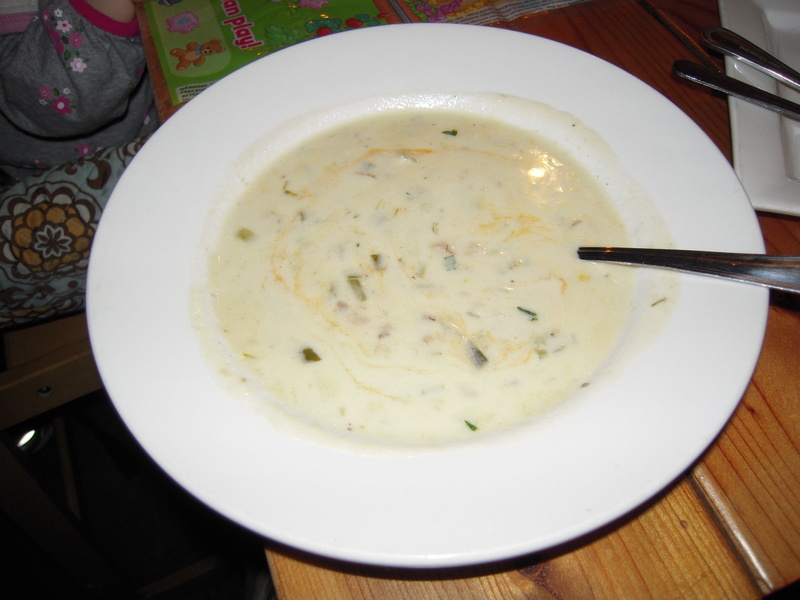 We tried the chowder and it was delicious. Not too heavy with a hint of corn and potato. Subtle. 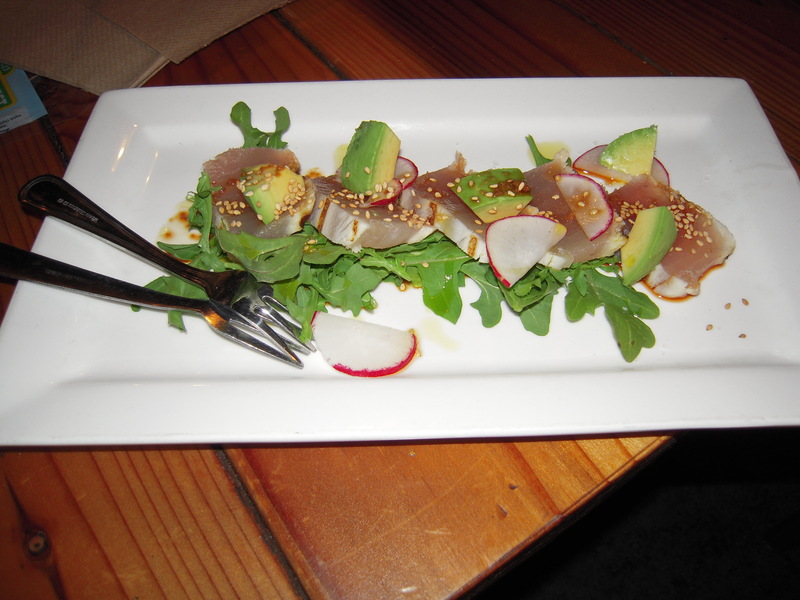 We tried the special crudo which was a yellowtail tataki and enjoyed the restraint employed. A light arugula base with avacado, radish and ponzu supported the lightly cooked fish. Fish and chips were a hit as well with a nice light batter providing a surprising crunch. I personally loved the fried oyster po’ boy sandwich on a flakey white roll. Throw in an oyster bar, local craft beers on tap, and a top notch root beer float for dessert and you’ve got something for everybody. And did I mention it’s inexpensive? It is. Nothing on the menu is over $12 and most of it falls in the $7-9 range. It’s the perfect spot to finish up a day of diving in N. San Diego county. Just remember that if you come for the diving you should stay for the Fish 101. Next Next post: Underwater Wine Tasting?